Printers Tales is a compilation of over 30 stories, from various authors, about the printing industry in the pre-digital age. Before computers became common-place in the late 1970s, to produce a printed page required the skill and expertise of a multitude of time-served craftsmen. Compositors worked with lead type to create words letter by letter. Paper was pressed on to inked letters to reproduce words and sentences. Many of these skills have long-since been forgotten. This compilation brings together memories of the printing and newspaper industries from that era. A lot of the stories involve the Linotype machine, a mechanical typesetting machine, that was used to produce newspapers, and other publications, from the 1880s until the computer revolution of the 1970s/80s. 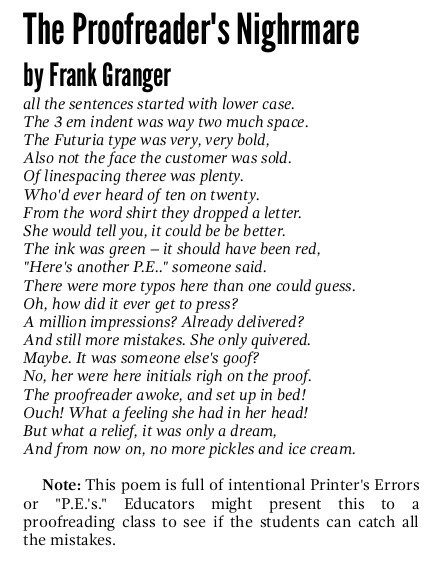 There are stories, poems and limericks from authors from the USA, Canada, UK, Australia and New Zealand, all of whom share a common workplace experience. From tales from American “tramp printers” who were able to travel the length and breadth of the United States working on various newspapers on the way, to the unique language and terminology used by compositors on a London Fleet Street “companionship” and lots of stories in between. 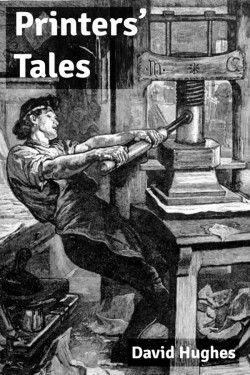 Printers’ Tales is also available in a print version. Just over 100 pages, nicely laid out on cream paper, with a matte soft cover. Available now at Createspace. 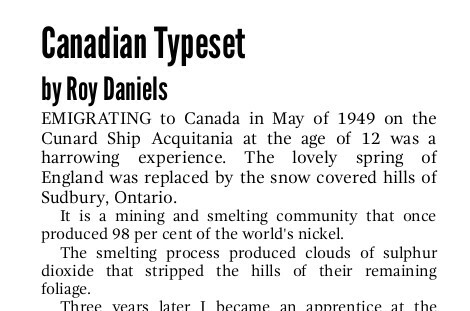 Below are a couple of samples from the print version which uses gothic headings and easy-to-read serif type. Please note: All the stories in the book are published on this website.